Vevo, the online portal for music videos, launches today in the US and Canada. Backed by EMI, CBS, Universal and Sony, the video site is looking to entice the Youtube youth into watching music videos online legitimately. 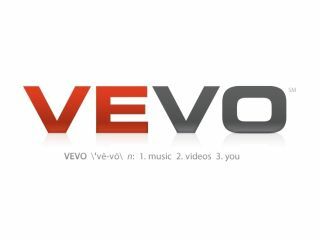 Vevo is powered by Google (using the technology behind YouTube) and the site will be financed by advertising which will sit alongside the music videos. "Vevo is about much more than just high-quality videos," said Rio Caraeff, President and Chief Executive of Vevo. "It is also about original programming and strengthening the connection between artists and fans through a dynamic and engaging experience, as well as immediately providing advertisers with the scalability they desire and access to the most sought-after demographic on the web." Although it isn't launching in the UK as of yet, Vevo does seem to be a site which is keeping both the music industry and Google happy. This is something the search engine will be very happy about, considering the headache it endured surrounding the lawsuit by Viacom (owners of MTV) and the subsequent falling out with the PRS. Go to www.vevo.com for more details.